I confess. 2012 was a blur. I had trouble keeping up with the marketing brilliance and goodness that many I admire shared. For that reason, I'm grateful to Denise Lee Yohn - whom I got to meet in person during BRITE 2011. 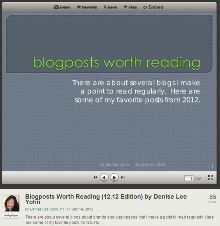 She has created a list of blogposts worth reading from 2012! 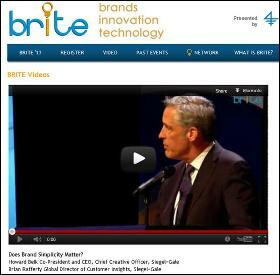 I'm partial to simplicity, so when Howard Belk, Co-President and CEO, Chief Creative Officer, and Brian Rafferty, Global Director of Customer Insights, from Siegel+Gale, addressed simplicity during BRITE Conference '12, I was all ears! I'm always on the lookout for innovative business marketing ideas, ones that simplify or solve problems, that breakthrough humdrum routines. Columbia Business School's BRITE '12 Conference did that with Julie Cottineau's presentation titled 5 Strategies for Successful Entrepreneurial Branding. Julie Cottineau, founder of BrandTwist, was immersed in breakthrough business marketing ideas as vice president, brand, Virgin USA. Her focus at BrandTwist is challenging perspectives to come up with unexpected solutions, juxtaposing two brands - for example - twisting their essence together to generate a fresh take. In his BRITE '12 presentation titled A New Path to Purchase, Moving at the Speed of Digital, Marc Speichert, Chief Marketing Officer, L'Oreal USA, used the 'loyalty loop' to demonstrate how Dermablend, a L'Oreal brand, raised awareness with customers using digital tools. 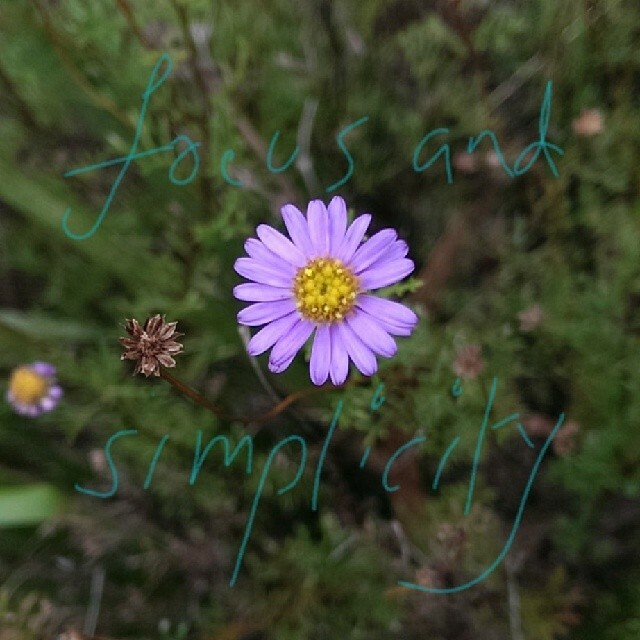 This is a 1 minute read. This is a 17 minute read. I love coming across examples and case studies of companies using social media in their marketing. In fact, I've been including links to articles about such brands and companies in my weekly #PracticalMktr Twitter roundupblogpost and have 100+ examples to share with you. Have you thought about the evolution of brand marketing? 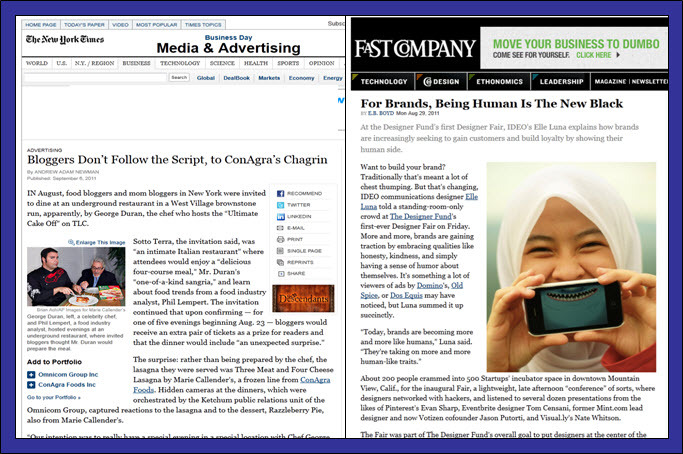 Two recent articles had me considering and appreciating that brand marketing has become deliciously unscripted and human.